Fear! That dreaded, paralysing feeling in the pit of your stomach! Did you know that fear begins imprinting in our brains at the age of 7? Being an overachiever my whole life, my anxiety stems from the fear of failure. So, how do we reset our brains to overcome our fears? How do we live fearlessly? I chat with Fear Strategist, Robin Meyers, who at the age of 53 realised that she wasn’t satisfied with her job, lived in self-doubt, and knew she needed a drastic change. And she proves that you are never too old to step into your passion and start something great! Robin is the podcast host of Activate Bold Choices, and is also the founder of Navigate and Empower, a company that specialises in supporting and empowering women to make meaningful transitions to live their best life yet. The power of a morning routine: set your intentions for the day! Why does fear stop us from doing what we need to do? What are the positive things that fear brings? Check out Robin’s website and podcast on how to activate bold choices in your life. 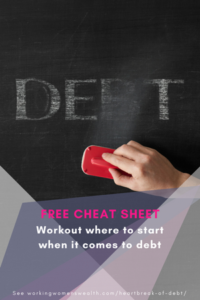 Check out Robin’s free resource hub! If you enjoyed this podcast, we suggest listening to Resilience: Overcoming the Impossible, Leaving Your 9 to 5, and Setting and Achieving Your Goals. Lisa Linfield: 00:09 Hello everybody and welcome to today’s episode of Working Women’s Wealth. We’re right in the middle of a series on how to look at creating a side hustle or following your dreams to make sure that you’re able to live your best life possible. 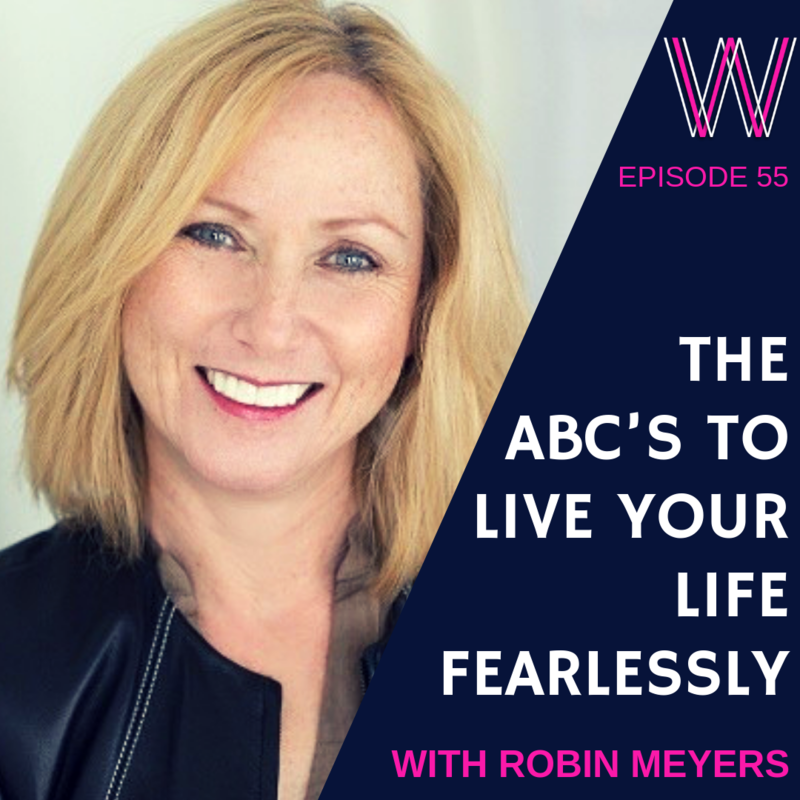 And so we are joined today by Robin Meyers, who is a host of a podcast called Activate Bold Choices, The ABCs To Living Life Fearlessly. She also has a company called Navigate and Empower, which specializes in supporting and empowering women to make those transitions in their life that enable them to live their best life possible. Hello Robin and thank you for joining us on our show. Robin Meyers: 01:05 Hello Lisa, thank you so much for having me. I’m so excited to talk with you. Lisa Linfield: 01:09 So Robin, you have done so much in your life and you have raised a great family. You have older children now and you have done the whole corporate thing and then you moved from having a job to building a career and a passion for yourself. What was your journey and what is the difference, in your mind, between having a job and building a career? Robin Meyers: 01:33 Funny you say that because I think I have an eclectic life. So my journey really, when I reflect back, I was one of those younger child and women that really went through life doing what we do naturally as a woman and serving others. And so I, even as a child, never used my voice. In fact, I actually didn’t speak until I was almost four years old. Not because I couldn’t, but I had two older brothers and I was the third and everyone was so excited that there was a girl in the family, so I never had to speak or ask for anything. I just had to point and everybody would run and get me what I needed. That’s kind of cute and adorable, but I never learnt to ask for anything for me. So when I reflect back there was a pattern that had started, that not only was I very shy and introverted, I never spoke up. I was a people pleaser and served everybody, but I never gave myself time to really find out who I was and what I wanted. So as I went through life and even my degrees, I have a Master’s in molecular genetics, I’m not sure if I would have chosen that, but it serves me well. But as I have gone through my life and raising my family and so forth, I never really put my needs first and realized how important self care is. The jobs that I took on in the corporate world and even in the non-profit world always filled a role to help out with family finances. My kids now are … my youngest will be 22 next month, so 22, 24 and 26. So we always had two college tuition at a time and so jobs were taken to help out and fill a need. But I was never passionate about it and so I finally, I think when my youngest was a freshman or sophomore in high school and then my middle one was a senior in high school, I had a job that looked great on paper, it was an incredibly stressful job I’ll say, but my boss who happened to be a woman, was very demeaning. And so I went into this old younger Robin self, but really shutting down and I got to a point where I was like, “I can’t do this, I’m turning 50 years old and this is ridiculous.” So that was one of my moments of I am going to do what I love to do and that is … I was working with teen girls at the time, empowering them to use their voice, empowering them to deal with relationships and healthy body image and things like that. But I really started to make this shift and then my true aha moment was when I was turning 53 because 53 years old was the age that my mother died of cancer. And it really gave me this perspective on life and mortality and kind of like you have one life to live and you can be happy in doing what you want. So yes, I was fortunate to raise my children and all of that and they’re thriving and incredible young adults, but I really looked in the mirror and said, “What do I want and who am I and what am I passionate about?” And that’s why I do what I do now because I am so passionate about helping women personally and professionally develop the life that they want. But realize that it does come down to them and they really have to, one: support each other and collaborate with each other, but really look inside and decide what fuels your soul. And that’s the difference of the career, what am I passionate about? What kind of legacy I want to leave and mark on the world? Lisa Linfield: 05:13 These kind of transitions in hindsight, always sound so inspiring and so great. You kind of hit this crossroad, you make a transition and it all goes hunky dory. And you come up with a plan and you’re going to leave and you’re going to take on the world and it’s all going to be wonderful. What has it been like, transitioning from the well paying job to starting your own journey and setting up this career or this lifelong passion of yours? Robin Meyers: 05:44 Oh, it’s so scary and you probably can speak to that as well. It’s not easy, it’s not easy on many levels. There’s obviously the risk, financial risk and as an entrepreneur there’s still that risk, right? There’s the ups and downs, the good choices, the good financial decisions and the bad ones. I mean there’s things that you realize, you didn’t need or you shouldn’t have spent the money on and there’s things obviously you do get the ROI. So it’s not that easy to do and you do need some support, I will say that. It also is pretty challenging for my family. I mean I’m very lucky to have their support, but kind of that who are you now? Because I’m not the same person, even my poor husband looks at me like I’m not the same person he once met because I kind of was that quieter and I guess yes person and I’m not. So yeah, you shock a lot of people when you do that. Lisa Linfield: 06:44 And who have your mentors been? What’s been your biggest support in making this transition? Robin Meyers: 06:49 My biggest supporter or support? Lisa Linfield: 06:51 From any form? Robin Meyers: 06:53 You know what? Honestly, my biggest inspiration and my biggest support comes from my daughter. We’re very fortunate to have an incredible relationship and I absolutely adore that I feel gifted to have this next stage of life with her, that I didn’t get with my mom. This adult-like relationship that we have now, where it’s not the hands on mom, it’s a friendship. But I look at her and she’s living in New York, she’s an actor, she is doing what she wants to do at 22 years old and she is such a strong willed young woman, with such a good head on her shoulders and she’s my inspiration. And she’s my 100% supporter, like you’ve got this, you should go for it. So I feel like in a way, she’s an entrepreneur with her career and I’m an entrepreneur with my career and we’re kind of doing a journey together. Lisa Linfield: 07:43 And with this journey part of your work that you do in helping to empower women to make these transitions in their own lives, what is the process that you take people through in order to make the transitions that you, yourself have made already? Robin Meyers: 07:59 You know, I have a process that I take people through. I really start initially with kind of who are you and how do you see yourself? And part of that is like an assessment. I don’t know if you’ve heard PI? Predictive Index, it’s similar to the Corporate DiSC Program. But it’s a great assessment, where you assess where you think your strengths are and your personality and then how you think others look at you. So I kind of start a baseline of who do you think you are? And then what I really do is, I worked on let’s design a roadmap. What is your goal? And then let’s step back and see how we’re going to get there. As we start to step back, that’s where we start peeling away the layers and that’s where the real work begins because you start dealing with peeling back the self doubt and the negative self talk and what are those triggers that happen, that send you either in a good direction or a bad direction. And so my goal is, as I work with people, is to recognize what’s going to set you off and then give you the tools and strategies and the reset buttons to get yourself back on track. I’m a big proponent of everyone needs a morning routine and I start with my clients on five minutes every morning and some people are like, “What is five minutes going to do for me?” Then my goal is really to get you to 15 to 30 minutes. But that seems overwhelming sometimes. So five minutes consistently every morning to set your intentions for the day. And the goal is really, not the list of what has to get done for you and for everybody around you, intentions as far as what do you need from the day and how do you have to feel at the end of the day. So it really becomes a journey of self awareness. Lisa Linfield: 09:46 And when you take people on this journey, do most people do this journey because they’ve had some major, either event happening to them or aha moment? Like for you it was turning 53 and the corresponding relationship with your mom. Do most people have to hit rock bottom or have a major aha? Or do some people come to you just because there’s a nagging feeling? And who, in that situation, is usually more successful in completing their life transition? Robin Meyers: 10:19 You know, a very good question. Actually, it’s both. You don’t have to have this negative experience. I have people that they’re having that nagging feeling, that they’re just not settled and they’re not satisfied. And so my goal is, like people my age, is that you’re never too old to make this change and people younger, even like my daughter’s age group, it’s like, plan for it. Learn your triggers at a younger age, so you can not go through kind of what we used to call, like a midlife crisis, even though I don’t think I had one. But that sort of thing, so I don’t think it’s necessarily because a big event has happened. I think it’s when women really want to learn about themselves and for whatever reason, usually a transition kind of kick starts it. So I mean it could be helping an older parent, it could be, being not satisfied with something with your child’s school. It could be a divorce, it can be something that happens, but it’s just a transition and either of those groups work incredibly successful. What makes people ready, it’s the person who says, “You know something? I’m not satisfied, I feel kind of stuck in my thoughts.” Those are the people that are just ready to take the leap. Lisa Linfield: 11:37 So when you work with people, what usually is the main reason why people don’t make the change? Even if they know that they should make the change, what is the reason they don’t? Robin Meyers: 11:49 You know, they haven’t given themself time to really find who they are. So that’s why the clients that work with me and the clients I choose to work with me, are those that are ready for that change because you are going to peel back a lot of layers. You are going to peel back old and new patterns that you are aware of and patterns you might not be aware of. But there is a pattern that happens, so to make that change, it’s kind of rewiring the brain. Even my morning routine and the strategies that I give people, it’s sort of like, if you were going to run a marathon, you’re not going to sign up for a marathon this coming Saturday if you’ve never run before in your life. So the morning routine and even the pattern of five minutes every day and then you can change that. You’re literally reprogramming your brain, you’re reprogramming your neurotransmitters to be like, “This is a pattern I like and I need.” It takes time. I usually work with people for a minimum time of three months, 12 weeks because about eight weeks you start seeing the patterns kick in, those changes. Now, that being said, again, you’re changing your mindset and you’re changing your patterns. So there are times that you start to slip, where you might do something and the old you shows up again and you have to learn not to beat yourself up and talk negatively to yourself and you just have to say, “Okay, it didn’t work today, I’m going to stand up and brush myself off and start over.” So it’s really our journey of awareness and really a journey of being gentle with yourself because you are training yourself, you really are rewiring yourself. Lisa Linfield: 13:38 When I made this journey, one of the biggest challenges for me, was facing an enormous amount of fears. So having been successful in the corporate world and been successful academically and all of those things, there was a huge amount of external influence in my life, of people saying, “You’re good enough.” And a huge amount of fear kind of gripped me about stepping into this abyss, where I was no one, nothing, with no corporate title and no corporate kind of peace in the hierarchy. Why does fear stop so many of us doing what we need to do? Robin Meyers: 14:16 Well, I love the talk of fear, as you know. This is my new big mission of life, is fear. So let’s look at fear, here’s my molecular geneticist in me coming up. So scientifically, fear happens, fear is something that happens in our brain, actually in the amygdala, which is in our temporal lobe, a portion of our brain. It decodes our messages, but it stores imprints. So from about age seven on, you’re actually storing and building every imprint of fear from your life. It could be as silly as falling on a playground, so there is this storage that builds up. Now, that being said, I like to say these imprints are like a tattoo. Yes, it’s difficult to remove, but it’s not impossible. You’re making an active choice every time you feel that fear come on, not to take it as a negative, oh my God, moment because somehow along the lines of society, we’ve put this brick wall around fear. That it’s a negative thing, it’s a negative energy and it should shut us down and it’s just the opposite. It is an energy, but it’s our little warning sign, it’s our little like, let’s be aware of this and be present and live in the moment and make a choice, how am I going to handle this situation? I think when you can stop and slow yourself down and look at it and say, “This is what’s in front of me, am I going to go forward with it or am I not?” You are making that choice to break that barrier. Lisa Linfield: 16:39 And I think that is correct because I think one of the challenges with life, is so often we give into those fears, and it’s almost like the barrier closes us in. So the less you step out or make the choice to step forward with whatever the decision is that’s facing you, it’s like your world gets smaller and smaller and the converse also works. One of the experiences that I’ve had, is that when I first started my podcast, I’d never interviewed someone, I was not a radio host. This wasn’t my thing and through my corporate career, I’d always kind of been the wing man, as opposed to stood out front. And I remember after my podcast interview, I was absolutely broken from the adrenaline of it and the fear of failure and all of that stuff. And each time I moved that boundary and choose not to give in to the fear and just take it on. It becomes easier and easier and easier to step into it because it really is something that you can push those boundaries out, and you can push that fear away from you. Robin Meyers: 17:47 Exactly and you’re making a choice to do it, right? The crossroad is, okay, I’m uncomfortable, I’m not going to do it any more or I’m actually going to keep doing this because I have a message I want to share and I’m going to build this. And so every time you do it, you’re putting down that negativity and it’s not negative, you’re moving through it and forward. I agree with you, when I started speaking, even podcast, I would never listen to a recording of my podcast, I would hope it was okay. I just never liked my voice and then I had someone come to me like, “You have a great radio voice.” And I was like, “Really?” So I’ve just learnt to … it’s my voice, I can’t do a whole lot with it. This is who I am, so again, the fear of being heard I guess is something that I’ve dealt with and I’m not going to be quiet any more, so I understand. Lisa Linfield: 18:47 When you take people and you coach them through these things, are there any steps that you can take with yourself, if you know that you would just love to make a change, you’d just like to start something new, try something new and all the voices inside you are saying, “Don’t be stupid, that’s a silly idea.” What steps would you give someone to actually take the steps of working through that fear? Because you’re doing something totally new. So a little fear and excitement is a great mix to do anything. I say, be methodical, some people can’t just drop their first job I’ll say, to start this career. So start building it, start doing something, if it can’t be every day, maybe it’s once a week and if it can’t be once a week, maybe it’s once every two weeks. Where you can focus on what you’re really passionate about and get it going because I really do believe, we all have to keep growing and learning and we’re only going to learn what we’re really passionate about anyways. That’s where our interest lies, so find that time to do it. And then learn how to reset, we’re very good at being negative with ourselves and I always say, talk to yourself like you would talk to your best friend. Your best friend isn’t going to tell you, “You know the podcast was so-so, don’t do it again.” Your best friend is going to encourage you to say, “Listen, it was great, it was your first time. Do it again.” Be gentle with yourself and talk to yourself exactly like you would be giving advice and be your best friend. We tend not to do that, we tend to be our worst enemy and our worst critic. So I definitely encourage you to definitely be your best friend. I have a couple of tools and strategies which I’m more than happy to share with everyone if you’d like. Lisa Linfield: 21:06 That would be great, we’ll put a link to it in the show notes. Robin Meyers: 21:26 Oh my gosh, never. Lisa Linfield: 21:28 I mean, isn’t that an amazing kind of transition? If you were to look back at yourself, what would be the one piece of advice you would have given yourself along the journey? Robin Meyers: 21:40 I think I would have said to myself, “Trust your instinct.” Because I think if I let myself trust me and my feelings, I would have given myself more of a voice and not tried to just please and run and do for everybody. I think somewhere in there I had passions and dreams, but I didn’t trust myself enough to do it. So I would say really, I would have trusted my instinct a lot more. And you were unhappy with it, you’re not going to believe them and vice versa, “I didn’t like your show.” And you really loved the episode, you’re still going to question that. You have to kind of learn to really get very strong in who you are and turn off the outside noise and realize that listen, there’s some people that will not be a fan and there’s people that will be a fan. And that’s even with there’s and work, there’s people you’re going to connect with that you know you have to work with and they have to work with you because you know it and you can get them to where they need to be. And there’s other people that are like, it just doesn’t connect and sometimes it’s age, sometimes it’s just different dynamics. It really is realizing that no one’s going to validate you, but yourself and that all clicks in when you really give yourself time. That begins actually with this morning mindset and your morning routine. What we’ll do is, when I give you the link, you’ll be able to download my top five morning strategies and just ideas on what to do with those five minutes. But it really is that time that you start asking yourself, “What do I need?” People think, well is that being selfish? And it’s not, self care … and I didn’t realize this, again, 53 years, self care is so important because if you don’t take care of yourself, you’re not going to show up at your best self personally or professionally. It’s kind of like the idea of the oxygen mask on the plane. There’s a reason they tell you to put your oxygen mask on first and then help your child or the person next to you because if you put theirs on first, chances are you’re going to be passing out, you’re not going to have a chance. So you have to put your oxygen mask on first and that’s what self care is all about and you really have to realize that it’s not selfish, it’s a necessity. Because sometimes I think we put such unrealistic expectations and hugely high and hard expectations of ourselves, that everybody’s going to love us, everybody’s going to think we’re wonderful and that’s the way should be, but we don’t like everybody. And it’s the same in terms of a boss’s impression of yourself, where you could be a high achiever under one boss and the next boss thinks you’re terrible and there’s nothing that has changed in you. Yet, for so many of us, our sense of self has always come from so much external and using all of our energy to please other people, that we forget that in fact, actually we should use that energy to focus on the best version of ourselves and accept that some will think we’re great and some won’t. Robin Meyers: 26:41 Absolutely, 100% with you on that and that’s where the PI, this Predictive Index assessment is fantastic because you can actually see your characteristics and where you think others are. It’s funny, when I go into corporate leadership trainings, I’ll have teams sometimes say, “They just don’t do it, they’re frustrating me. I know they’re just frustrating me on purpose.” And I’ll look at their PIs and one person is very much a detail oriented person and the other one is the creative one, who doesn’t care about the details, they just want the big picture done. And I’m like, “No, they’re not trying to get you angry, you’re different.” So if you know that kind of difference and you know that about you, you’re not going to get as frustrated, you’re going to be able to learn about the other person better and choose to either work with that or say, “This isn’t for me.” And find something else. But it’s so true, it’s all this external factor where we really do need to reprogram the way we think. Lisa Linfield: 27:45 So you’re now on the second, third or fourth chapter of your life, and you are really starting to work with the best version of yourself. When you look forward, what is the main focus on where you’re taking your own journey? Robin Meyers: 28:03 That’s a nice question. I look forward to really being a force in helping women really realize what they’re true potential is and that they have the power to define who and what they want to be. My goal is really to be on stages around the world and to do workshops around the world and take women on retreats and just allow them to know that they have a voice. And that although we take on all these different roles in life, we still started out as one individual and we have to take care of that individual. So my goal is really to just empower … if I can hit a million women this year, in 2019, combining presence on stages and stuff like that, that would be like a perfect goal for me. Lisa Linfield: 28:59 A million women next year? Robin Meyers: 29:01 Yeah, I would love that. Lisa Linfield: 29:03 I love that goal, my goal is to teach a million women about money. But I’ve given myself seven years to do that, so I’m very impressed you’re going to be doing it one. Robin Meyers: 29:12 I just need a lot of big stages, that’s all. And I’m willing to go anywhere. The starting of the podcast was around the fact that I can’t teach a million women one-on-one, it’s just never going to happen. So then how do I start reaching more people? And then looking at the speaking was, well, actually I really love speaking to audiences and then I started to get a few paid speaking gigs and it’s been an amazing journey and in all of them, the two major features of them. The first one is that enormous sense of learning and growing and trying something new and different. Secondly, that deep sense of pride in myself for stepping through the fear, stepping out the comfort zone. Putting myself out there in a way that it just isn’t natural and it’s become more natural as I’ve done it. And now I’m building a online training course and I’ve never built an online training course. I had no idea whether I can do this, but because … absolutely and because over the last year, I’ve done so much that 15 months ago, when I full-time left corporate because I transitioned over a three year period, but 15 months ago I hadn’t done any of this stuff. 15 months ago, I hadn’t built a website, 15 months ago I hadn’t even contemplated podcasting, 15 months ago, I wasn’t a paid speaker, 15 months ago, I didn’t have a wealth management business. And I look at what I’ve done in 15 months and I think, my goodness gracious me, I have learnt more in 15 months than I’ve learnt through Oxford, London School of Business, degrees, all these other things, there has been more than I have learnt and mostly about how much there is inside of me, that I don’t think I’ve ever paid tribute to because I had always been that good girl, that does well and has a nice corporate job and does those nice corporate things. And in actual fact, there’s just so much exciting things to learn out there, that even at my age, I always say to people, when I went to university, there was no email. So anyone kind of my age and older, to engage in all the social media stuff, to engage in all these online platforms and teaching and training and building your own website and all the stuff, I always thought it was impossible. And now I’m building a course to teach other people how to do it, why? Because goodness, I’ve wasted a lot of money teaching myself, but why not? It’s something I’m so passionate about, so why shouldn’t I do it? I know that there’s part of me that says, “Lisa, who are you to do it?” But there’s that other part of me that says, “Hey, why not?” And at worst, if it completely flops, I’ve learnt all about online training programs, I’ve learnt all about how to teach, I’ve learnt all about all these amazing things that maybe it’s not my thing in life, but who knows, maybe it is. Robin Meyers: 33:31 Exactly, and you know something? You bring up such a great point that I think everyone needs to hear and really think about, is that I think what we don’t do sometimes is stop and pause and look back and say, “I am successful.” Even if you feel like baby steps or maybe it’s a financial thing like this month or the last couple of months wasn’t a very good growing … my bank account’s not so hot. But look back and take a moment and say, “Look at what I’ve done.” I agree with you, I would never imagine I’d be on stages, I used to dread that, when the teacher said, “Can you stand up and read the poem.” And I would be like, “No, I got to go to the bathroom, sorry.” I used to dread that, but you have to do that, and I think that is such a great message to tell everybody, is that you have to remember and when you start having these doubts and you start feeling like, am I moving fast enough or am I good enough? Or that person seems to be doing it better. Stop yourself and reset and look back and say, “Look at where I’ve come.” And give yourself that credit, give yourself the pat on the back because nobody else will. When I forget that an enormous corporate salary is actually someone paying that amount of money for you too. But somehow it felt different when I was asking for it and it wasn’t just arriving in my big fat bank account. And you redefine success, having earned a great corporate salary, I have never been so excited was when I earned my $2 something for my first affiliate income from Amazon. That in actual fact, I actually just did nothing, but recommend a book and someone clicked on the link and it cost them nothing and I got $2. It was huge, I remember the first Wealth Management client that I had, John and I went out and we had a massive celebratory of him. The kind that we used to have when we got big bonuses in corporate. It was like for me, that first set of income that I could sell one thing to one person, I celebrate break even in a month, I celebrate all these other weird and funny things. Robin Meyers: 36:53 Yeah, I agree, I totally agree. Lisa Linfield: 36:56 So if you would say anything, because a lot of people say to me, “You know what Lis, I’m too old to make this change. I’ve got like 10 years left in corporate. I’m 50 years old, I’ve got 10 years until the good old 60 years, where they’re going to hoof me out.” If someone says that to you, what would your response be? Robin Meyers: 37:13 I think you’re never too old. I mean listen, I’m just getting started to be honest and I’m on this incredible journey, I’ve never felt better. People are like, “I’m turning 50, oh my God.” I’m like, “I’m loving 50s. I think it’s the best.” And maybe because I know who I am now. But you are never too old and you know what? So what happens at 60? Have something in your back pocket that you love doing and that you’ve wanted to do and if you want to stay with the corporate jobs, so you can check out at 60, great. But build something on the side because let’s face it, we’re all living longer and 60 is not old either. So I think you’re never too old to find what really fuels you and keep learning and growing and you’re never too young to plan for it. Lisa Linfield: 37:58 And I totally agree with you, it’s my big kind of valiant cry to everyone. You need a side hustle because even if you have all the money in the world to retire at 60, which is very few and far between, from my wealth management experience, it doesn’t matter because what are you physically going to do when you leave work on Friday and you’ve got all these people that need you, want you and report to you and then on Monday, you’re going to wake up and your wife or your husband’s going to go, “Well yeah, this is home. Kind of get on and do your thing.” For me, it’s even more important, not just from a financial perspective, but from a sense of self and a sense of purpose and an enjoyment and fun, that by the time you hit 60, you have something else that you love and are passionate about doing. Robin Meyers: 38:48 I agree, I totally agree and maybe I’ll be doing more retreats and who knows, I’ll be speaking on more stages, I don’t know. Yeah, I think it’s not even as far as the financial side, obviously we all have to make a living, but I don’t see myself ever stopping, to be honest because this really does fuel my soul. Lisa Linfield: 39:08 I totally agree, when people look at me, they say, “There’s something so different about you.” And I said, “For the first time I really feel like I’m making a difference in the world.” And the thing that I enjoy helps other people and how much better can you possibly be? And would have loved to have found it at 20? Maybe, but I didn’t. I am where I am, and I’ve had the most wonderful journey, but I think it’s going to be so much better going forward. Lisa Linfield: 39:53 And I always say, “You sit where you sit today for every step of your journey before.” There is not one piece of my journey, even the toughest, rock bottomest places in my career that I would ever want differently. Why? Because the lessons I learnt, the things that it taught me, the people I met, the experiences I’ve shared with other people, I have all of that, for every single step of this journey. I haven’t once thought to myself, “I wish I had found this earlier.” Because I wouldn’t be who I am if I hadn’t have walked that journey. Robin Meyers: 40:26 Absolutely, same with me. Lisa Linfield: 40:28 So Robin, thank you so much for coming on board. If our listeners want to learn more about you, obviously we’ll put the link to you download and the links to all of your stuff, but how would they get hold of you? Robin Meyers: 40:40 I think the easiest way for everyone to get a hold of me, is if you go to my website, which is www.robinmeyers.life and it’s all one word, R-O-B-I-N-M-E-Y-E-R-S.L-I-F-E, please feel free to get onto my calendar. I would love to have a conversation with you, if you feel you just want to talk about an obstacle or anything, I always do a 40 minute call. So get onto my calendar. And you also have and opportunity on the top of my homepage, it will say join now and it’s my free resource hub, where I have two downloads. One is Wake Up and Soar and the other is, My Top Five Morning Strategies, it’s what I use to be quite honest, it’s exactly what I use. My Top Five Morning Strategies that I start my day with every day. Lisa Linfield: 41:27 Well that’s fantastic, thank you so much Robin and I wish you so well in your journey ahead. Robin Meyers: 41:33 Well, thank you Lisa, you too. It’s been a pleasure. Thank you so much. Lisa Linfield: 41:37 I just loved that interview with Robin Meyers. I think that all of us need to be absolutely encouraged that you are never too old to step into your passion. If you’re as young, in your 50s like Robin is, you should be encouraged and all of us, at any age, should be encouraged that we’re never too old to find our voice, to find our passion, to learn what it is that actually makes us feel like we’re adding value and contributing to the world. And gives us that passion and power to take on our days and even if it does come at teething challenges. Your family sometimes likes the person who you were, but I know, will celebrate this person who you come to be. As you step into your passion and you get more energy and you find your purpose. And yes, as Robin said, some of it is financially challenging, but it comes right and when you serve in the things that are good and great about you, it really is the thing that gives you energy, motivation and it will all come together. 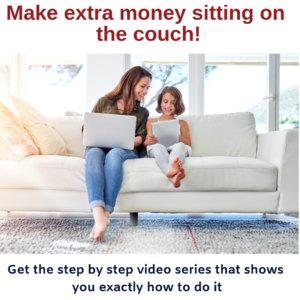 I’m Lisa Linfield and this is Working Women’s Wealth and I really encourage you to visit our website, workingwomenswealth.com to get added resources that will help you to take those steps of your next plan B and find your voice, find your passion. Take care and have a great day.